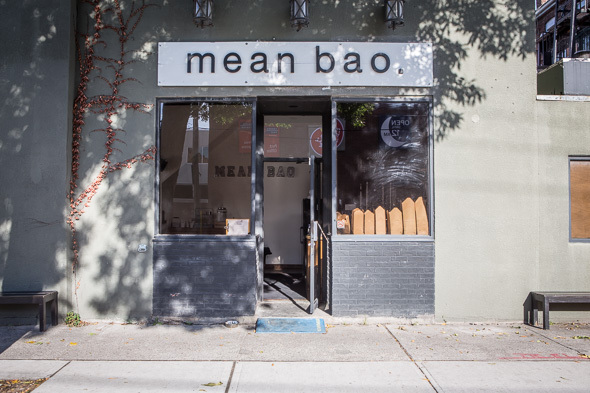 Mean Bao is the latest downtown eatery to expand to the east side, and the restaurant's third location in Leslieville is the biggest and sunniest one yet. 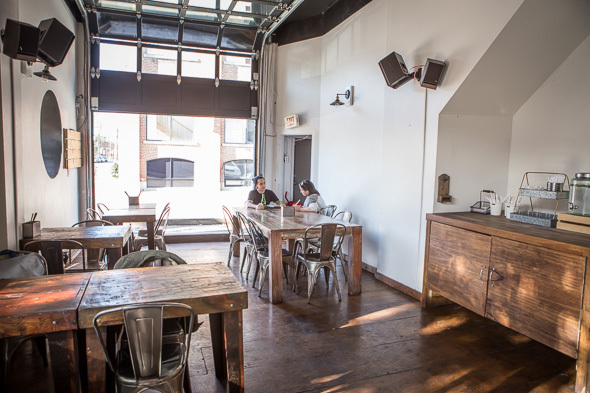 Located on Carlaw just north of Queen, it's taken over the former address of Back of House , and occupies a room blessed with high ceilings, and a garage door that rolls up on nice days. 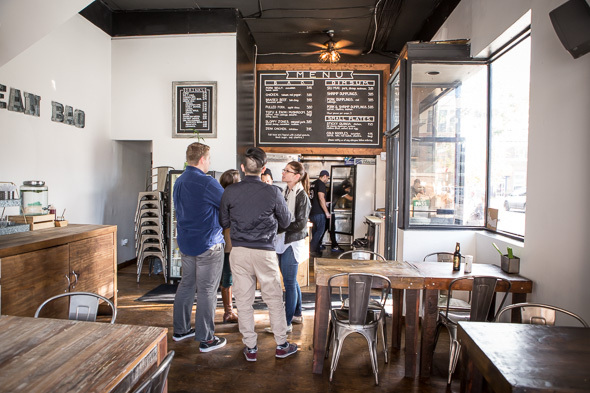 Takeout orders are still the primary source of business but new and exclusive to this location is the ample seating. 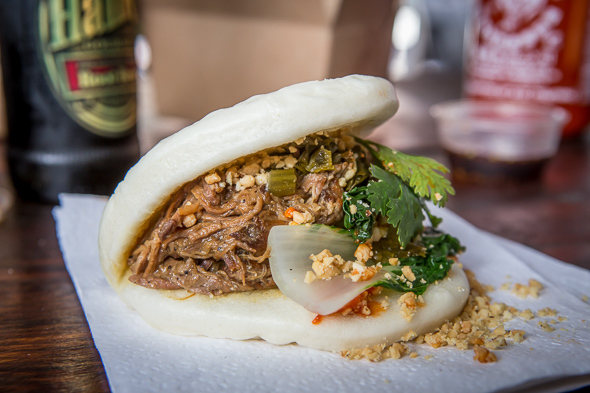 The roster of bao is consistent across all locations, and features familiar faves like pork belly ($3.95), pulled pork ($3.80), and braised beef ($3.95) that are already established on the menus on Bathurst and in The Grange . 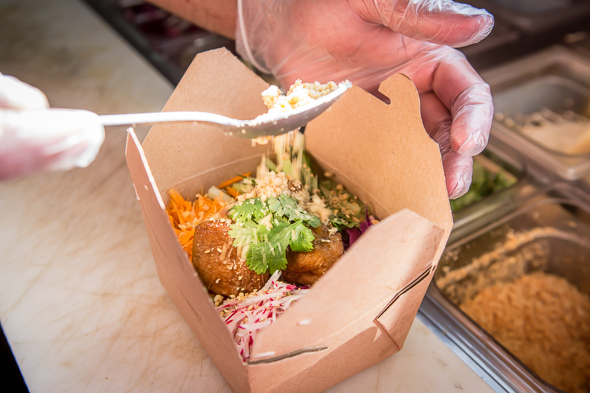 My current fave is the jerk chicken ($3.95) smothered with creamy coleslaw, crushed peanuts, a line of Sriracha and a sprig of cilantro. What I like best about these bao is that they're big. The ingredients are really packed in there and these substantial bao are commendably cheap and filling. 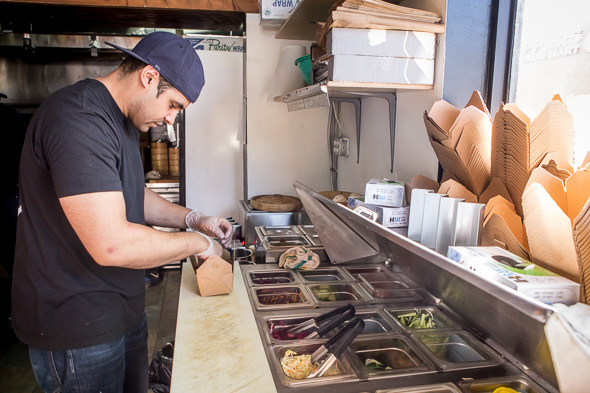 A single steamed bun makes for a hearty snack, while a complete meal can be had for $10 or less. One item I haven't noticed on the menu before is the Cold Noodles ($4.95), a peanut dusted vegetarian dish featuring big blocks of tofu over a bed of cucumber, shredded cabbage, carrot, radish, and noodles. Once mixed together with a little chili oil, the whole dish is a melange of cool crunchy textures with slippery chewy noodles. 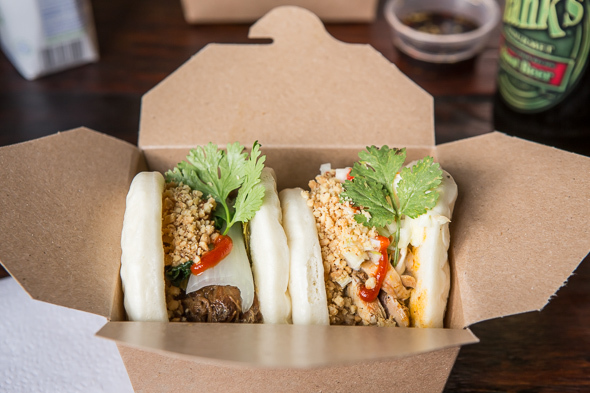 Mean Bao is a welcome addition to Leslieville, and the steady stream of customers is proof. The staff already know what some of the regulars are having without any words being exchanged.